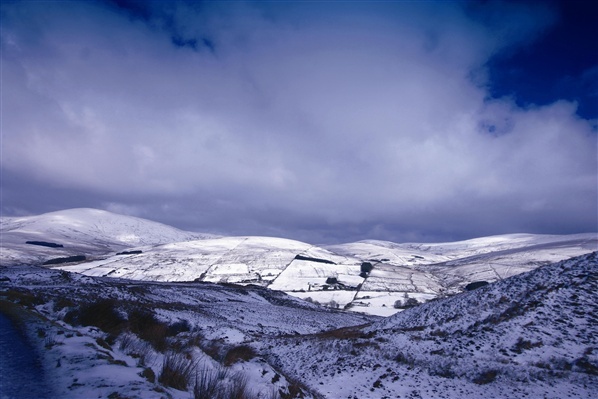 Take a walk this Dec/Jan and explore Northern Ireland’s stunning landscape as it wraps itself up for winter. There is no better time of year to get out walking, breathing in the brisk, frosty air, reveling in the almost perfect silence unique to this season. Whether you want to just take a short dander along the banks of a frozen river or fancy embarking on a more adventurous snow-capped mountain ramble, Northern Ireland’s landscape is full of great walking opportunities just waiting to be discovered. 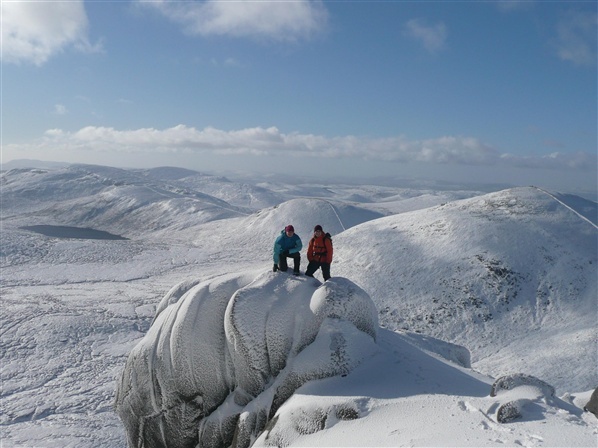 Below is a list of ‘Winter Warmer’ walks, so why not head out and explore these natural gems for yourself. With local pubs offering mulled wine around an open fire on your return, what better way is there to earn your seasonal indulgences?! 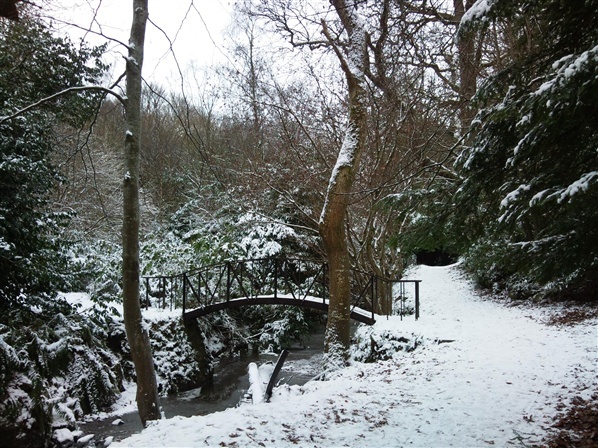 Winter creates the perfect backdrop to explore this mature woodland, along the edges of steep sided river gorges with freezing waterfalls and open, frosted moorland. The trail first takes you down the Inver River gorge, to the edge of the Ess-na-Crub Waterfall. Once you cross the river at the bottom of the trail, you begin a long and winding climb offering views of the Glens and of the Mull of Kintyre across the sea. You cross over the upper reaches of the Glenariff river at the top of the trail. At this point you are on the frozen peat moorland. Your way back gives spectacular views straight down the misty Glen to the coast and the sea beyond. This is a challenging hill walk with some strenuous ascents, but it is certainly well worth it. The walk takes in 3 of the 4 highest peaks in the Mourne Mountains (Slieve Donard 853m, Slieve Commedagh 765m, Slieve Bearnagh 739m) and also the Brandy Pad, a well-trodden and infamous smugglers track. A highlight of this walk is discovering the almost ‘alien-like’ granite tors (pictured above) on the summit of Slieve Bearnagh. 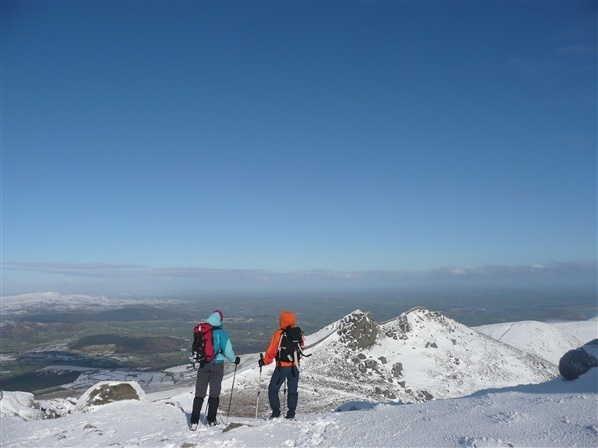 This walk also offers wonderful views out to the Irish Sea and inward to the heart of the High Mournes and is a great winter warmer for experienced hill walkers. 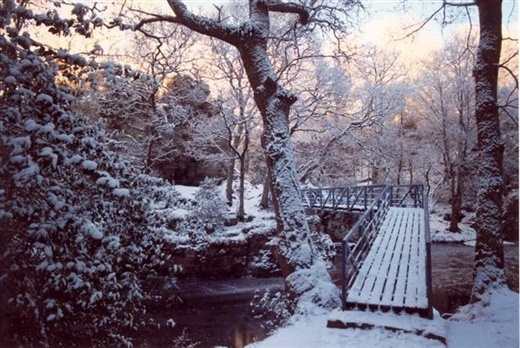 There is a whole host of history and wildlife on show as you walk around this winter wonderland. 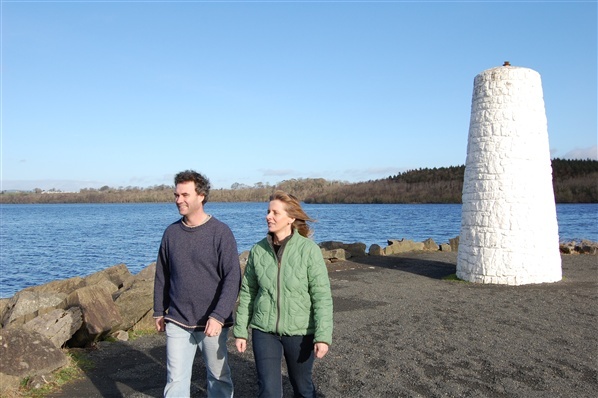 There are a variety of walks along the lough shore passing the deer park enclosure, wildfowl ponds, wildflower meadow and butterfly garden. There are also old flying-boat docks, ammunition dumps and slit trenches from World War II. Lough Erne played an important role as the most westerly flying-boat station, from which aircraft protected the allied convoys from the U-Boat threat in the North Atlantic. Winter is a great time of the year to explore this unique setting. The Roe Valley Country Park offers a variety of routes along the River Roe or Red River (from the Irish ‘Abhain Ruadh’). This 7 mile walking trail circles both banks of Red River, which originates amidst the peat bogs of the Sperrins Mountains, offering an explanation for its red colour. With the path running through an enchanting oak forest, combining legend with industrial and natural heritage, the park has great appeal. Winter sees the snow settle on the river’s banks and as walkers pass through the forest it is only the call of mallard ducks that breaks the silence. In winter, Roe Valley is a truly special place. This walk is located within the Ring of Gullion Area of Outstanding Natural Beauty (AONB). Slieve Gullion rises to 573m and is the centrepiece of the volcanic landscape and is a Special Area of Conservation (SAC). The purples of the heather contrast with the yellow of dwarf gorse and orange of the bracken to create rich mosaics of colours which contrast with the many greens of the agricultural farming landscape. The Ring of Gullion and Slieve Gullion, in particular, have rich associations with Irish legends and myths. In one tale, Finn McCool was bewitched by Miluchra on the summit of Slieve Gullion at the Lough of the Calliagh Bhirra. To this day the superstition survives that if you bathe in the lough your hair will turn white, apt then for a winter walk. Croaghan provides an ideal circular winter stroll rewarding walkers with stunning panoramic views over to Rathlin Island, just off the Antrim coast. At this time of year the walk cuts through blanketed hillsides and crisp forest tracks that hug the perimeter of the snow-coned Breen Forest. Once you’ve completed the walk why not reward yourself with a hot drink in the nearby picturesque port of Cushendun, where you might be lucky enough to catch a traditional Irish music night in one of the local pubs. The best time to walk around Minnowburn and Giant’s Ring is on a crisp winter’s morning as the mist hovers just above the River Lagan. When sampling this mysterious scenery it’s easy to see why C.S Lewis drew so much inspiration from this special place. This trail explores the old Terrace Hill estate lands and remarkable Beech trees of this area of South Belfast. Farmland, river bank, wetlands, woodlands and a formal garden make up this lovely path. 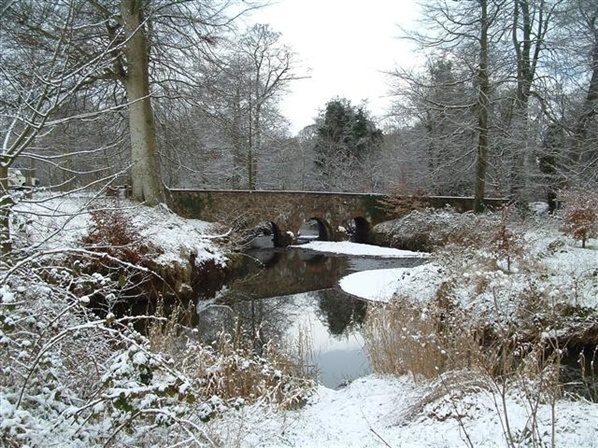 It is steeped in history, and is part of the Lagan Valley Regional Park system. As you leave National Trust lands and enter Ballynahatty you pass through the famous Giants Ring, a Neolithic earthwork circle set in the middle of beautiful farmland. This is an excellent off-road, winter hill walk across rolling hills and frosty moorland. The highest point of this route opens up superb views of the Bluestack and Derryveagh Mounatins of Donegal to the west and the High Sperrins to the north east. As the route climbs south over Ballynatubbrit Mountain it passes Robbers Table, the site where supposed local seventeenth century Highwaymen (Rapparees as they were known) met up to divide their spoils after raiding the postal carriages that traversed this upland landscape. Where to Now? - A New Year, A New You! 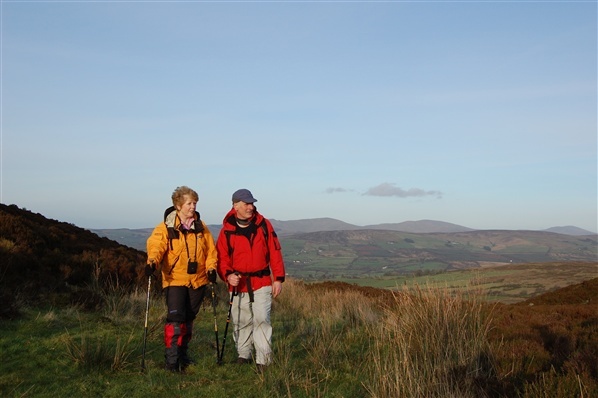 Getting out on a ‘Winter Warmer’ walk is a great way to step out into Northern Ireland’s countryside and get back to nature. With turn of the New Year why not set yourself the challenging of discovering more of the great walks across rolling hills, around lakes, through forests and down hidden trails in Northern Ireland. Walking is a great way to keep fit and is certainly one of the more enjoyable New Year’s resolutions - Nobody really wants to give up chocolate!! For a full list of over 200 quality walks in Northern Ireland just awaiting your discovery visit WalKNI.com (http://www.walkni.com).